Credit reports are a representation of an individual's debt management tactics. It includes pertinent data, such as identification information, credit inquiries, current and prior outstanding debt obligations, and collection records. 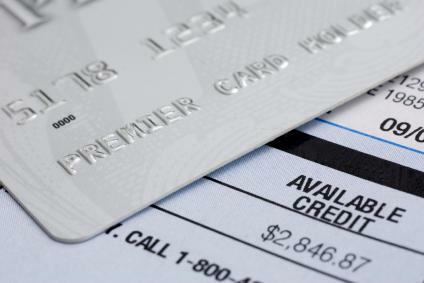 In some instances, inaccuracies appear on credit reports and need to be disputed. Omissions and inaccuracies are typically discovered on credit reports when consumers are conducting a routine review, responding to a breach as a result of identity theft, or attempting to understand the outcome of a loan decision. To properly file a dispute, a specific process must be followed. You can also request a free copy annually from each of the three credit bureaus by visiting AnnualCreditReport.com. Once the report is in your possession, you will need to identify any errors that exist. Use a sample dispute letter to compose your own dispute letter to the credit reporting agency. Forward a copy of all relevant correspondence via certified mail to the creditor who initially reported the information to the credit reporting agency. You should receive a written response within 30 days. The document will include any supplemental data reviewed during the investigation and a free copy of your credit report if the outcome of the dispute is favorable. If unsuccessful, request for a copy of the dispute to be placed in your credit file. The three credit reporting agencies allow consumers to file a dispute online if you have a recent copy of your credit report from their bureaus. Personal finance expert Tara Siegel Bernard states that although this method is quicker than writing a dispute letter, it should only be used to supplement your efforts. Sending a dispute request via certified mail establishes a paper trail and provides evidence that may be needed if the case reaches the court of law. Credit reporting agencies are able to reject your requests for an investigation if they classify your claim as frivolous. If this happens, compose a variation of the letter and resend the modified version. On the other hand, if they reject it due to the need for additional information, go directly to the lender and attempt to dispute the discrepancy. Though the dispute process can be tedious, it is essential that you know your rights under the Fair Credit Reporting Act and continue to fight until you have exhausted all the remedies available to you. Don't wait to dispute a credit report error. You want to take care of it as soon as possible. You never know when you will need clean credit to apply for a loan, get a job or make a major purchase.